What? A lettuce wrap? 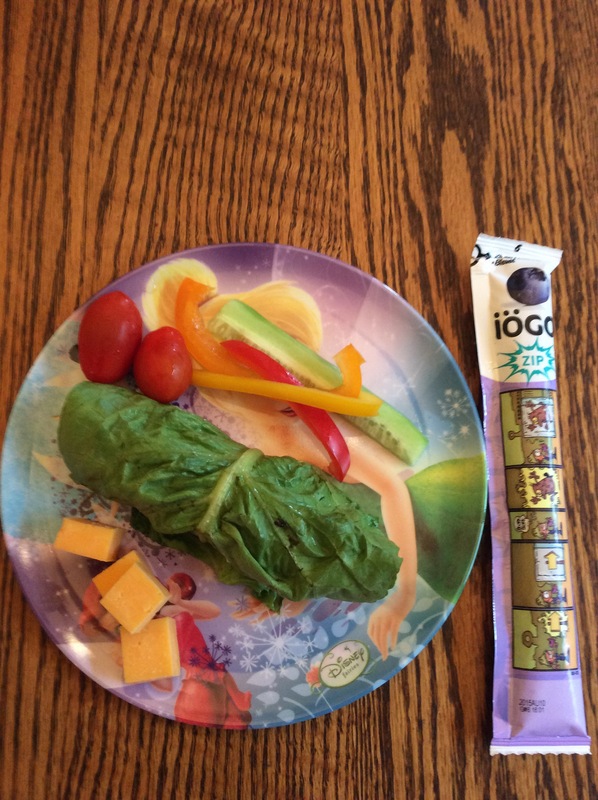 My kid will never eat a lettuce wrap! I once thought that, too. 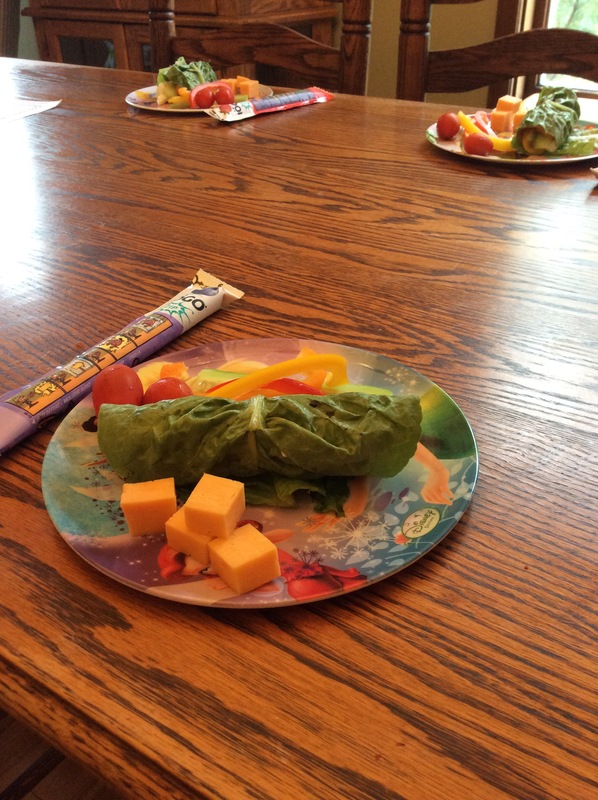 Even though my kids love vegetables, and salads, they seemed to dislike the idea of lettuce wraps. The trick, I found, is to let them watch me prepare them, and fill them with colourful things that they like. The lunch I made for them today was devoured by all of them. I consider any lunch I make that ALL of them like, a success! You can use romain lettuce leaves, but it’s hard to roll them into wraps. Iceberg can be used too, but an ideal lettuce that’s even healthier than iceberg lettuce is the Butterhead variety: Butter lettuce, Boston lettuce, and Bibb lettuce. The leaves are easier to roll, they are more flavourful, and they’re healthier (vitamins A, C, and K). I laid out a slice of cooked turkey breast deli meat that is free of gluten and antibiotics, on top of the leaf. I topped it with orange, red and yellow thinly sliced organic bell peppers, a couple thin slices of organic cucumber, and then topped it with a bit of low-fat cottage cheese (try to get organic if you can) and some Herbamere spicy seasoning (we don’t find this at all spicy, but use it to top all kinds of things because it’s very tasty and healthy). 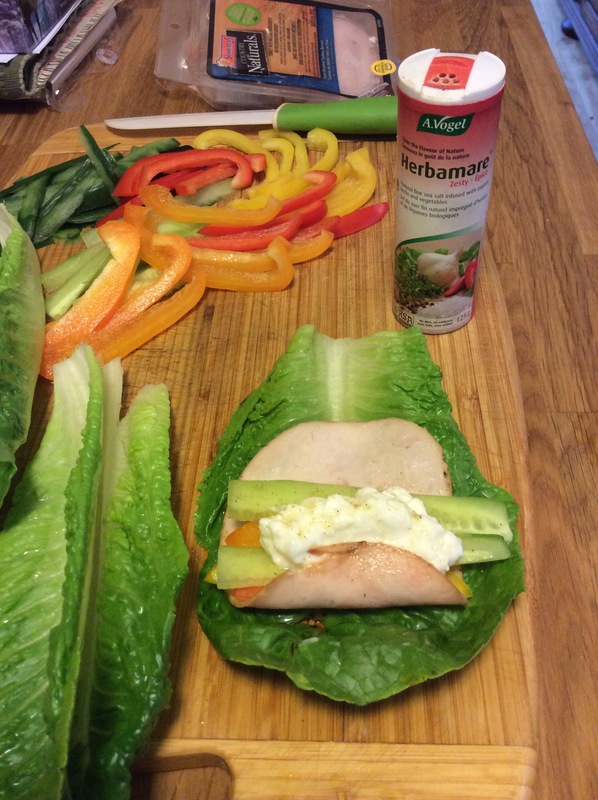 Roll it up in the lettuce leaf and voila! Getting the kids involved and talking to them about how you’re making it, what goes in it, doesn’t that look good, isn’t it colourful with the peppers, etc. will get them excited to try it. I literally got a thumbs up from all of my kids today. I added some cheddar cheese and some more of the sliced raw veggies, as well as some organic cherry tomatoes, and for fun and a little extra motivation, a yogurt tube (I don’t like to buy these often as they contain sugars, cornstarch and other unhealthy things, but once in a while it’s a fun treat for them). By the way, if anyone knows of an organic yogurt tube, please comment below! The more word gets spread about things like this, the more available it will become as more people demand it! So there you have it – an example of a healthy lunch that doesn’t have to include breads or pastas, and that kids will enjoy.